Aegis Dental (Carrollton) - Book Appointment Online! 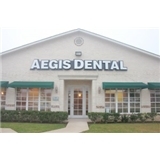 Aegis Dental is a family dental practice, where we see individuals from children to adults. Our primary purpose is to provide the highest quality dental care possible to all of our patients. We strive to provide quality, comfortable dentistry to children and adults in a friendly, relaxed atmosphere. Our motto is “Caring For Your Dental Needs”. At Aegis Dental Dr. Chandy and her team treat their dental patients with the utmost care and consideration. Each patient deserves our focused attention and best efforts to make his/her experience one that stands far above the norm. Our practice depends on the success of these efforts. Dr. Chandy is a warm, personable, well-experienced dentist who takes the time to really get to know her patients, carefully listens to and responds to questions and concerns, and knows how to put patients at ease. Excellent, knowledgeable and caring dentist and her staff is very professional and kind!